PARIS -- All for one, one for all, and all bathed in yellow. "The Maillot Jaune is special, very special," Froome said, using the yellow jersey's French name. "I understand its history, good and bad," he said. "I will always respect it." 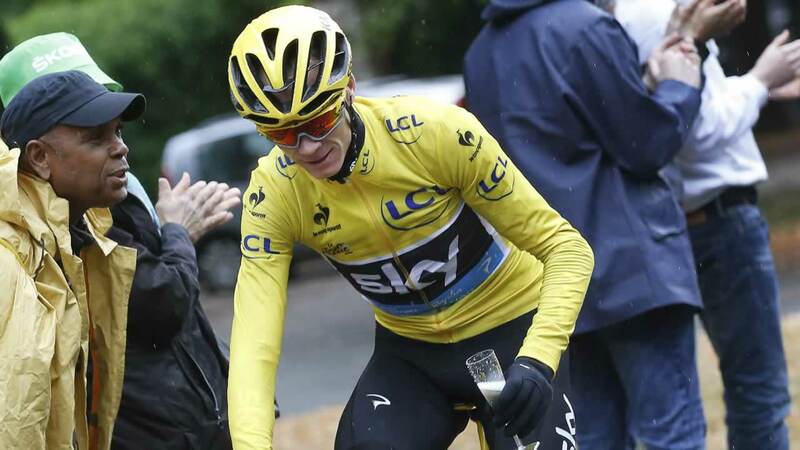 "This is your yellow jersey as much as it is mine," Froome said. "He's a great rival," Quintana said. "He suffered a lot to win." "I have lots of years ahead of me," Quintana said. Froome says he would like to keep competing "as long as my body will allow me." His aim is at least another six years. "I love the sacrifices, the training, the hard work. That's what gets me out of bed in the mornings. I'm not trying to do it for a specific amount of Tour titles or fame," he said after sealing his win in the Alps. "I love riding my bike. I love pushing my body to the limit. I love the freedom that cycling gives you."